You may have seen some posts online about the "joint adVENTURE" cider we did with Big Hill Ciderworks and Distillery Lane Ciderworks. Our version is finally available for purchase online! Joint adVenture is the first pressing from three single source Mid-Atlantic orchards, a blend of America’s heritage apples and its cider making history. This handcrafted limited release comes from Pennsylvania’s Big Hill Ciderworks, Maryland’s Distillery Lane Ciderworks and Virginia’s Albemarle Ciderworks, the first of many collaborations from thousands of homegrown trees and hundreds of varieties. 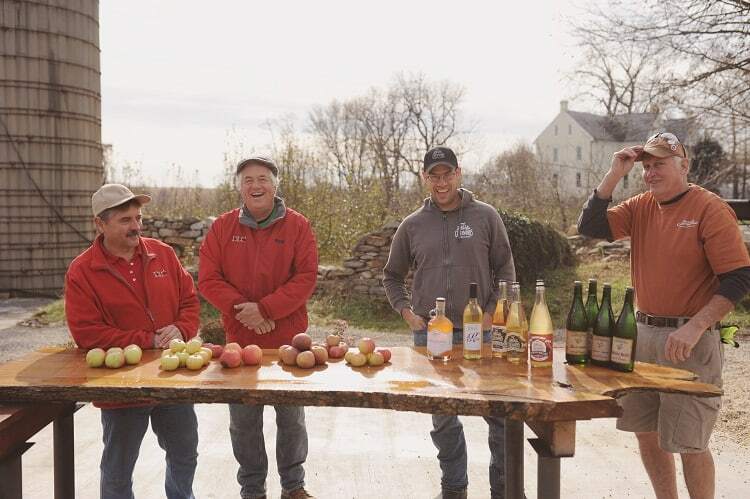 It’s a flavorful blend of Winchester, Winecrisp, Yates, Harrison, Vilberie, Harry Master’s Jersey, Roxbury Russet, and Liberty apples, and each cidery is bottling their own style. Albemarle Ciderworks has crafted a still version of this remarkable blend. Join this adVenture -- and come back for many more. Bottles are available for purchase at our tasting room in North Garden, VA.
Can't make it to our tasting room? We have you covered! We currently ship to most states. Check out our online storefront to see the full list of states we can ship to. Big Hill’s version is not available outside of Pennsylvania.